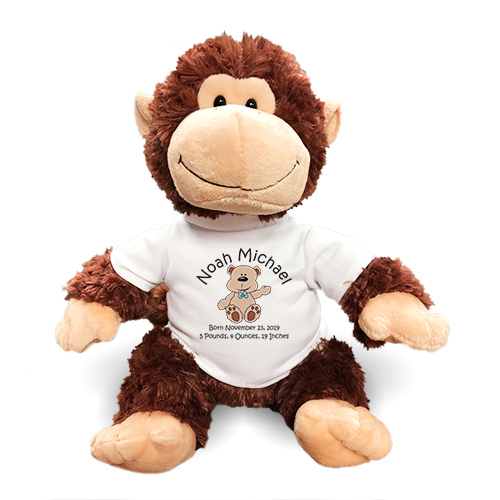 Personalized New Baby Boy Monkey - 12"
Welcome your new baby boy into this world with our Tubbie Wubbie Monkey. 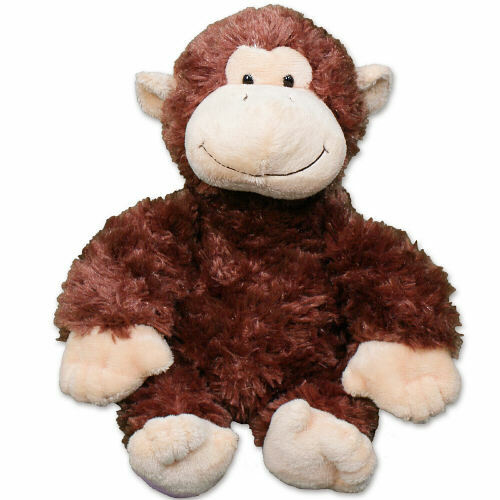 This cute little hugging monkey measures a soft 12 inches and features velvety soft shaggy plush fur. His charming facial expression and his overstuffed body makes him the best friend to have. He is made from all new kid-safe, man-made materials to meet all safety standards. Free personalization of any three line custom message is included or you may choose a different design that meets your needs. Free Gift Wrapping and a Free Gift Card are included to create a thoughtful presentation. This fluffy Chimp is the most charming Chimp around! 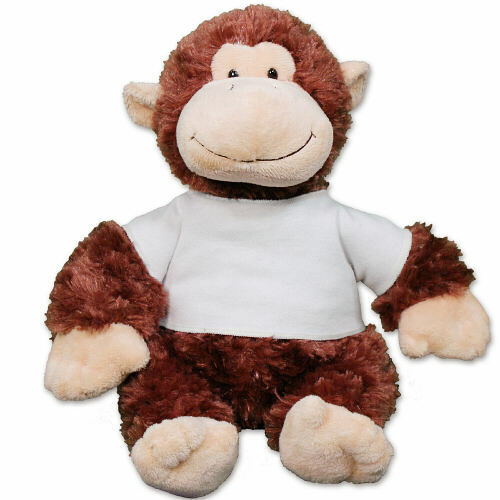 Tubbie Wubbie Chimp features velvety soft shaggy plush fur to make him the best cuddling pal. His charming facial expression & his overstuffed body makes him the best friend to have. Tubbie Wubbie measures 12” tall and is made from all new kid-safe man made materials to meet all safety standards. Free Gift Wrapping and a Free Gift Card are included to create a thoughtful presentation. Additional Details Shop 800Bear.com to view our entire collection of Plush Animals for New Babies. Whether you are searching for a baby girl or a baby boy, you are guaranteed to find the perfect plush animal at 800Bear.com. We also offer a Plush New Baby Boy Giraffe & Personalized My First Teddy Bear as well.